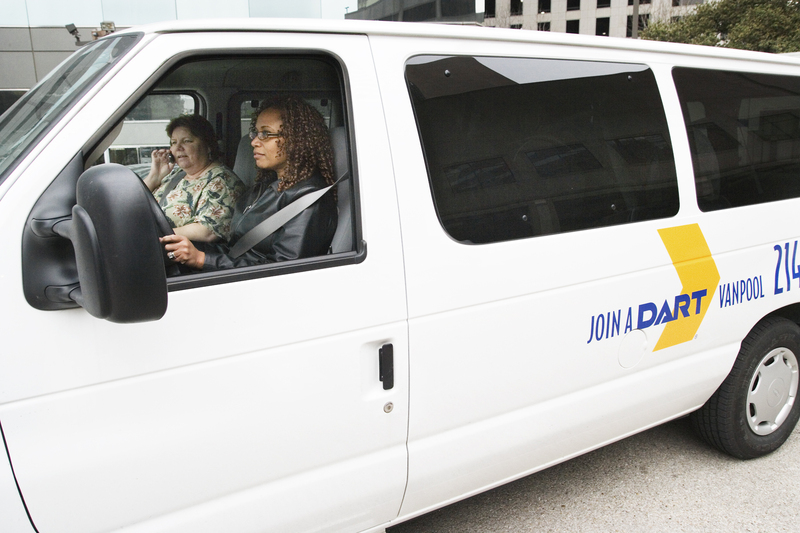 With DART's Vanpooling Program, six to 15 people can share the ride. Not only does this reduce traffic and congestion in Highland Park, but also helps mitigate on-street parking obstacles at job sites throughout the Town. DART's Vanpool goes anywhere, anytime, so long as either the work or home destination is within Dallas, Denton, or Collin Counties and does not originate within Tarrant County or other counties that are served by the vanpool program of The T (Fort Worth Transportation Authority). DART supplies both the van and the insurance. Vanpools breeze past stop-and-go traffic on DART’s growing network of High Occupancy Vehicle (HOV) lanes, while getting you to work and home on time. The Town encourages residents to promote the use of DART's Vanpooling Program by its contractor(s) when a home undergoes remodeling or new construction. The Town used the program effectively during the Town Hall remodeling, finding it a neighborly and effective way to minimize neighborhood parking disruptions.